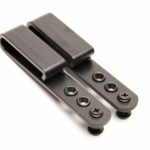 A much smaller clip overall, our Plastic IWB clips are another great option for IWB carry. The loop incorporates a positive bend underneath the belt to ensure the holster stays in place if you need to draw the weapon. Price is for 1 set (2 loops) and matching hardware. 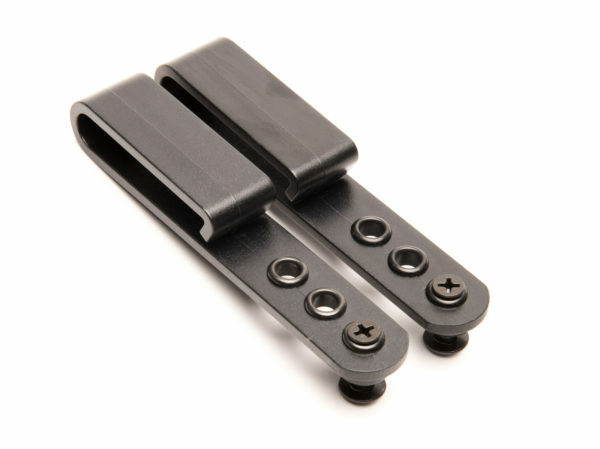 Delivery Times: This holster is custom built to your exact specifications. BlackPoint's industry leading build process yields a holster like none other. This process does take time so please be patient while we make sure your holster is built just the way you want it - Your Holster. Your Way. Copyright © 2019 BlackPoint Tactical / bptactical . All rights reserved.